On the centennial of first flight, rediscover the remarkable achievements of the Wright Brothers. It’s no surprise that 21st century travelers take flying for granted. In recent decades, intercontinental non-stop jet service, supersonic flight and even space travel has become so routine that it only warrants attention when there's a catastrophic accident. In fact, great aeronautical achievements have become so commonplace it's sometimes hard to remember that the first successful manned flight—achieved by Wilbur and Orville Wright at what is now Kill Devil Hills, North Carolina—took place just 100 years ago. At first glance, the Wright Brothers were unlikely aviation pioneers. In the 1890s they were respectable small business owners, operating a chain of bicycle shops in Dayton, Ohio. Despite their success, both were restless and keen on doing something more. Wilbur (1867-1912) was the quiet dreamer, the one who came up with the idea of trying to build a functional airplane. Orville (1871-1948) was the outgoing one, a flashy dresser, who bought into his older brother’s grand vision. After four-and-a-half years of extensive research and experiments, the Wright Brothers made manned flight a reality on December 17, 1903. At 10:35 that morning, Orville positioned himself at the controls of their homemade “Flyer” and released the restraining mechanism. Although the craft stayed aloft for a mere 12 seconds and traveled just 120 feet in the air (less than the length of a modern-day jetliner), it marked the first time a powered, heavier-than-air machine took off, flew under control and landed at a comparable elevation. The Wrights went on to make three more flights that day—taking turns piloting the machine, as was their custom—with their final effort covering 852 feet. Ironically, an accident on the ground ensured that their first airplane would never fly again. Minutes after their fourth landing a strong gust of wind flipped the craft over, causing irreparable damage. The Wright Brothers’ fascination with flying can be traced back to childhood, when their father, Bishop Milton Wright, brought home a small toy flying machine powered by a twisted rubber band—a patented invention of Frenchman Alphonse Pénaud (1850-80). “Eventually that toy would go the way most toys go—they broke it,” says Darrell Collins, a U.S. Ranger and Wright Brothers historian who has spent the last decade working at the Wright Brothers National Memorial in Kill Devil Hills. “But instead of throwing it away they repaired it and started to reproduce it themselves. They learned that the bigger they built that toy the worse it would fly,” advises Collins. It was an important lesson that other early aviation pioneers would have to learn the hard way. By the mid-1890s, the Wrights were becoming bored with bicycles and found themselves intrigued by the accidental death of Otto Lilienthal (1848-96), a German aeronaut whose experiments with gliders made him famous throughout the world. In 1896, Lilienthal was killed in a gliding mishap, inspiring the Wright Brothers to investigate why the celebrated aviator suddenly lost control of his craft and suffered a fatal crash. They discovered that Lilienthal’s control was limited to shifting his body weight back and forth, a steering method that also led to the death of aeronaut Perry S. Pilcher in a remarkably similar accident. In the spring of 1899, the Wrights began investigating the problem of flight by reading a book on ornithology—a branch of zoology dealing with birds. In May of that year, Wilbur wrote to the Smithsonian Institution, telling them he was about to begin a “systematic study of the subject,” and requested any publications available with information about flying. The brothers were thoroughly impressed by the list of people who had conducted failed flight experiments. Among those were Sir Hiram Maxim (inventor of the machine gun), Thomas Edison, and Dr. Samuel P. Langley, Secretary of the Smithsonian. Langley subscribed to this theory, and using government funds, designed and built what he called an aerodrome—essentially a full-scale version of a model—which he attempted to launch on two separate occasions from a houseboat on the Potomac River near Washington, D.C. The second attempt took place on December 8, 1903—just nine days before the historic first flight. The craft was thrust into the air by a spring-loaded catapult, but immediately flipped back on itself and crashed into the Potomac, an embarrassing incident that a New York Times editorial dubbed, “Langley's Folly.” A storm of derision in the press prevented Langley from obtaining additional funding, and he died a few years later. Meanwhile, the Wright Brothers took a different approach, believing that power was a secondary issue and that it was necessary to acquire flying skill and knowledge in order to control an airplane. By this time, Wilbur and Orville had pored over virtually every book and article in existence related to flying. Most notably, they read “Progress In Flying Machines” (1894) by Octave Chanute, an exhaustive history of attempts to solve the problem of flight, with in-depth analysis of advances and past failures. Chanute would soon become a friend and mentor (he was on hand for many of the experiments at Kill Devil Hills), and frequently corresponded with Wilbur over a ten-year period that began in May of 1900. By 1900, the Wright Brothers had come to the conclusion that weather conditions in Dayton were unsuitable for flying gliders. In their trademark methodical way, they obtained a listing of all the weather stations on the East Coast and then researched statistics from the U.S. Weather Bureau in Washington, D.C.
After reviewing the statistics and corresponding with an individual named William Tate (who lived near the weather station at Kitty Hawk), the Wright Brothers determined that North Carolina's Outer Banks were perfectly suited for their experiments. However, as far as the Wright Brothers were concerned, the area had several major drawbacks. To begin with, the trip from Dayton to the North Carolina coast took several days, and crossing the sound to the Outer Banks was yet another ordeal. “At the time, it was a pretty isolated place,” reminds Collins. “The only way to get to the Outer Banks was by sailboat; there were no roads or bridges.” Supplies had to be hauled two miles from the nearest boat landing to the Wright Brothers’ campsite, which was located in the midst of four sand dunes called the Kill Devil Hills of Kitty Hawk. “One of the oldest legends is that there was a local who had a whiskey still hidden amongst the hills. People said the drink he made was so bad it would kill the devil,” allows Collins. Except for hunting and fishing Wilbur and Orville had little time for distractions, as they were almost entirely focused on experiments. Only unfavorable weather or one of the area’s periodic mosquito infestations could keep them from working. Nevertheless, the brothers came to love the Outer Banks, marveling at the beautiful sunsets and hospitality of the people who lived there. 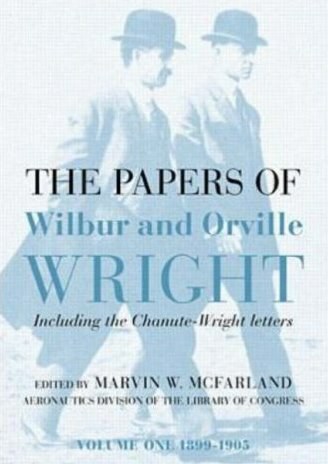 For their part, the residents of Kitty Hawk viewed Wilbur and Orville as oddities. “The locals felt that they were kind of crazy, wasting their time and money trying to build a flying machine,” conveys Collins. It was in September of 1900 when the Wright Brothers arrived at Kitty Hawk for the first time. After building a temporary shelter, they constructed a 17-foot glider, which they tethered to the ground and flew like a kite, figuring that it was the safest way to practice and experiment. They were so conservative that Wilbur spent a mere 10 seconds aloft in free flight during the six weeks they stayed at Kitty Hawk that autumn. Aside from needing time to assess the behavior of their first glider, the Wrights had a practical reason for returning to Dayton; they feared the Wright Cycle Company’s business might suffer in their absence. The formula relied on a table of air pressures devised by the aforementioned Lilienthal (lift coefficient), as well as Smeaton’s coefficient (for air pressure, named after British engineer John Smeaton), an established value that had been in use for 150 years. However, their gliders flew so poorly that the Wrights began to question Lilienthal’s calculations and the accuracy of Smeaton’s coefficient. As a result, they built a wind tunnel to test Lilienthal’s tables and soon discovered that there was a serious flaw in the numbers being used for the lift formula. Aside from creating their own table of air pressures they also surmised that the value of Smeaton’s coefficient (.005) was too high, concluding that it should be .0033. “It was almost like throwing away the Bible,” says Collins. By this time, Chanute was engaged in an ongoing written correspondence with Wilbur, and he too seemed to sense that a breakthrough was at hand. In late 1901, Chanute even asked whether the Wright Brothers might want him to approach steel magnate Andrew Carnegie about paying them a generous salary to conduct scientific investigations on a full-time basis. The Wrights were intrigued by the offer, but politely declined, still concerned about neglecting their bicycle shops. Of course, the Wright Brothers weren’t the only ones trying to invent the airplane. When Chanute informed them about a potential competition for “various classes of aerial apparatus” scheduled at the St. Louis Exposition in 1903 it made them think twice about publishing the results of recent experiments—especially calculations concerning lift. The decision wasn’t easy, and the Wrights wrestled with the pros and cons of keeping their data secret. “This injection of the mercenary idea into the flying problem is really a nuisance in some respects,” wrote Wilbur in a letter to Chanute on January 19, 1902. On August 25, 1902 the brothers departed Dayton for their third trip to Kitty Hawk, arriving on August 28. By October they reported increased proficiency in gliding and an ability to take their current model (with a 32-foot wingspan) out in any weather. During that month, they made 250 glides in a two-day period—ranging from seven to 16 seconds in duration. By the end of their 1902 stay they reported a distance record of 622.5 feet and a time of 26 seconds, satisfying the brothers that they had the first functional airplane. On December 11, 1902, Wilbur again wrote to Chanute, saying, “It is our intention next year to build a machine much larger and twice as heavy as our present machine. With it we will work out problems related to starting and handling heavy weight machines, and if we find it under satisfactory control in flight, we will proceed to mount a motor.” That same month the Wrights contacted at least ten manufacturers inquiring about the possibility of obtaining a gasoline engine, but none could be found that met their specifications. Without a suitable commercial gas engine the brothers began building their own motor, running the first tests on February 12, 1903. The next day, in a quaint entry in his diary, their father wrote, “…The Boys broke their little gas motor in the afternoon.” Undeterred, the Wrights purchased a new aluminum casting and had another motor ready by May. This second engine exceeded their expectations with regard to both horsepower and weight. After they arrived at Kitty Hawk on September 25, 1903, the Wrights made glides of longer and longer duration with a new 40-foot machine. Then they mounted their 180-pound motor and connected the two chain-driven propellers, which were designed to rotate in opposite directions to counteract a twisting tendency in flight. While the engine was cruder and less powerful than the one Langley would use on his aerodrome, the Wrights believed that relatively little power would be necessary if the rest of the craft was efficient. Although broken propeller shafts and the temperamental motor slowed their progress, the Wrights were finally ready for their first powered trial on December 14. Wilbur won the coin toss that determined who would pilot the inaugural test, but lost out on the chance to make the first flight when he over-steered just after takeoff and the machine dove into the sand, necessitating several days of repairs. In a letter to his parents, Wilbur called the first run a “partial success,” the results hindered largely due to an error in pilot judgment. Bishop Wright did inform the press as his sons requested, but the next day’s media coverage was uneven at best, in part because a reporter at the Norfolk, Virginia telegraph office penned an article based solely on the contents of the telegraph. In fact, the headline of the Friday, December 18 edition of the Virginian-Pilot read: “Flying Machine Soars 3 Miles in Teeth of High Wind Over Sand Hills and Waves at Kitty Hawk on Carolina Coast.” Oddly, the Dayton Journal and Cincinnati Tribune made no mention of their achievement. The media reports were filled with so many inaccuracies that the Wrights felt compelled to issue a statement to the Associated Press on January 5, 1904 to correct misinformation that had been reported about the first flights. The statement began: “It had not been our intention to make any detailed public statement concerning the private trials of our power “Flyer” on the 17th of December last; but since the contents of a private telegram, announcing to our folks at home the success of our trials, was dishonestly communicated…and led to the imposition upon the public…of a fictitious story incorrect in almost every detail…we feel impelled [sic] to make some correction….” At the end of the statement, the Wrights announced that they weren’t ready to provide photos or a detailed description of the “Flyer,” and felt no compulsion to do so since the experiments were conducted at their own expense without the assistance of any institution. It wasn’t the first time the Wrights were dissatisfied with their media coverage, and certainly wouldn’t be the last. Meanwhile, the Wrights continued to take steps to ensure they would receive credit for their invention. “They applied for a patent in March of 1903, nine months before they flew,” recounts Collins. “What they patented is what makes an airplane turn,” he continues. In order to earn a satisfactory financial return and also free themselves up for continued scientific explorations, the Wrights first attempted to sell their invention to the American government. “Because they were patriotic men they wanted the United States to have a monopoly on the patent they held, but they couldn’t convince the government they had something of practical use. “That’s one of the most frustrating things the Wright Brothers faced,” says Collins. As a result, they somewhat reluctantly resigned themselves to doing business with European nations, who were interested, but generally evasive when it came to making firm commitments. With their financial future in the balance the Wrights became increasingly secretive about their machines and experiments. They notified Chanute—who, as a result of their frequent correspondence, had intimate knowledge of their work—that they did not object to him disclosing basic information, but wanted to avoid publishing material that detailed the components of their aircraft or its principles of operation. In 1906, the Wright Brothers had their first meeting with Glenn Hammond Curtiss (1878-1930), an aviator and inventor who would later engage them in a bitter and contentious patent lawsuit. In September of that year, Curtiss traveled to Dayton for a demonstration of the City of Los Angeles, a dirigible (lighter-than-air craft with steering and propulsion system) whose engine he had designed. Soon after its launch the airship began drifting off course, and in a twist of fate, the future rivals came together while helping to chase down and retrieve the wayward ship. Ultimately, the two parties clashed over Curtiss’ decision to build a commercial airplane, as the Wrights believed that the Curtiss design utilized their technology without permission. By the middle of 1908 the Wright Brothers were sufficiently concerned about Curtiss’ intentions that Orville felt compelled to write a letter warning him about patent infringement: “If it is your desire to enter the exhibition business, we would be glad to take up the matter of a license to operate under our patents for that purpose,” stated Orville. Then, on September 17, with Wilbur in Europe, Orville proceeded with a demonstration flight for the U.S. Army. He took off from Fort Myer, Virginia, with Lieutenant Thomas E. Selfridge (the first army pilot) as his passenger and climbed to an altitude of 100-150 feet before mechanical difficulties intruded. “I heard (or felt) a light tapping in the rear of the machine. A hurried glance behind revealed nothing wrong, but I decided to shut off the power and descend. . . . It was not two or three seconds from the time the first taps were heard, till two big thumps, which gave the machine a terrible shaking, showed that something had broken. . . . I then discovered that the machine would not respond to the steering and lateral balancing levers, which produced a most peculiar feeling of helplessness. . . . Quick as a flash, the machine turned down in front and started straight for the ground. Our course for fifty feet was within a very few degrees of the perpendicular. Lieutenant Selfridge . . . turned . . . to look into my face, evidently to see what I thought of the situation. But when the machine turned headfirst for the ground, he exclaimed 'Oh! Oh!' in an almost inaudible voice. For his part, Wilbur felt the accident might not have occurred if he had been on the scene. He didn’t believe Orville was incompetent, but that he was so busy dealing with distractions that he couldn't possibly have prepared with as much care and caution as was advisable. As it were, Lieutenant Selfridge died from injuries suffered in the crash, while Orville was pulled from the wreckage with several broken bones. Despite the incident, neither brother was deterred from continuing to fly. In fact, on December 31, 1908 Wilbur made a 90-mile flight in two hours and twenty minutes, a world record for flight time. In 1909, the Wright Brothers made several definitive business decisions that changed the way they were perceived by the aviation community. With the backing of Cornelius Vanderbilt and other wealthy businessmen, they incorporated the Wright Company which was formed for the purpose of designing and manufacturing commercial airplanes. They also began vigorously pursuing patent infringement lawsuits—most notably against the Herring-Curtiss Company, Glenn Curtiss and the Aeronautic Society of New York. While the Wrights were never particularly popular amongst their peers (who were jealous of their success and resented their lack of pedigree), they were now perceived as active businessmen rather than scientists. Even Chanute disapproved of the suit against Curtiss and became embroiled in a dispute with them. Meanwhile, the Wrights became disenchanted with Chanute, as their longtime mentor began implying to the media that he had played a significant role in the development of the Wright Brothers’ technology. In a letter to New York newspaper journalist Arnold Kruckman dated December 21, 1909, Wilbur noted: “We invited Mr. Chanute to visit our camp each year in order that we might not be without a trustworthy witness of our performance. His thorough acquaintance with our progress, and the fact that most of the information regarding our work leaked out through him, led to a false impression that we were working under his direction and with his financial assistance…. For many years we entrusted to him our most important secrets, and only discontinued it when we began to notice that his advancing years made it difficult for him to exercise the necessary discretion.” The conflict between the Wrights and Chanute went unreconciled, as Chanute passed away in November 1910. In the courts, Wright vs. Curtiss turned into the most monumental pre-World War I patent infringement case and the Wrights spent much of 1911 wrapped up in various lawsuits. With Wilbur taking the lead role in matters relating to litigation, the Wrights successfully defended their patents. According to Shulman, “The court tended to side with the Wrights almost throughout. The patent was written in very broad language and it gave the Wrights tremendous latitude,” he says. Despite the courtroom victories, the brothers were saddened and frustrated by how much time and energy the lawsuits consumed. One important effect of the ongoing litigation was that it kept them from conducting further research. In October 1911, Orville returned to the Kill Devil Hills to engage in soaring experiments, marking the last time either brother would do research at Kitty Hawk. The brothers found it ironic that they had to spend so much time in court defending their work. “It is rather amusing, after having been called fools and fakers for six or eight years, to find out now that people knew exactly how to fly all the time,” noted Wilbur sarcastically, in a letter to Chanute assistant, E.C. Huffaker. Meanwhile, the stress involved in pursuing far-flung lawsuits took its toll, especially on Wilbur, who was responsible for testifying on behalf of the Wright Company. In early May of 1912—drained by a hectic travel schedule and numerous court appearances—Wilbur came down with typhoid fever. “Wilbur was so mentally and physically weak from worrying about the business that when he contracted the fever, he just couldn’t shake it off,” says Collins. He died in his home on May 30, 1912 at the age of 45. Part of the problem was that Orville wasn’t well suited for filling the void left by Wilbur’s death. For one, “Orville couldn't testify in patent infringement cases. He couldn’t give a speech in public. When Wilbur died Orville was forced to step into a role he was not comfortable in,” continues Collins. Nevertheless, the Wright Company continued to battle in court. In early 1914, the Federal Circuit Court of Appeals in New York sustained the Wright patent in the suit against Curtiss, permanently forbidding him from manufacturing or selling planes that utilized the Wright Brothers’ technology. Several months later, Curtiss asked the Smithsonian if he could test Langley’s aerodrome (which had crashed so spectacularly into the Potomac in December of 1903). In April 1914, the Smithsonian agreed and sent Langley’s machine—along with a payment of $2,000—to Curtiss’ workshop in Hammondsport, New York. More than 30 vital changes were secretly made to the machine (the Smithsonian admitted as much many years later), including the addition of hydroplane floats. Then on May 28, 1914 it was launched on a nearby lake and managed to fly just above the water for approximately five seconds. According to Collins, the scandal wouldn’t have happened if Langley had lived longer. “The people who took over the Smithsonian—they were the ones that pushed it to the point where they issued false information to the public. They forged records and documents to prove that Langley had the first airplane capable of sustained powered flight. For almost 35 years the top men in the Smithsonian and certain parts of the United States war department would carry out an all-out campaign to discredit the Wright Brothers any way they could,” claims Collins. In essence, the Smithsonian and the government couldn’t stomach the idea of losing the race to invent the airplane to two bicycle mechanics from Dayton who never even received high school diplomas. “Langley was funded by both the Smithsonian and the United States government to the tune of almost $100,000 of taxpayers' money to develop some sort of airplane, which he never could do,” reminds Collins. In contrast, between 1900 and 1903 the Wrights spent a grand total of approximately $1,000 on their experiments. As a result of the scandal, neither brother lived to see the original 1903 “Flyer” hang at the Smithsonian in Washington, D.C. where it has been exhibited since 1948. The machine’s journey from Kitty Hawk to the Smithsonian was remarkable in its own right. After being damaged following the four flights of December 17, 1903, the Wrights disassembled the machine, packed it in crates and took it back to Dayton, where it remained virtually untouched for the next 13 years. Somehow it survived—along with all the negatives of the black-and-white photographs the Wright Brothers took of their experiments—the massive flood in Dayton in 1913, where it was submerged under water for almost two-and-a-half weeks. Later, it was rebuilt by Orville in 1916 and exhibited at the Massachusetts Institute of Technology (MIT) until it was shipped to England in 1928 and exhibited at the British Museum in London, where it would survive the bombing of World War II. “It’s a miracle the airplane even exists,” marvels Collins. In the past hundred years, numerous historians and aviation pioneers (or their descendants) have challenged the notion that the Wright Brothers were the first to fly. Some of the more prominent claimants are inventor and aviation enthusiast Richard Pearse (1877-1953), a German-born American named Gustave Whitehead (1874-1927), and Rev. Burrell Cannon (1848-1923) a Baptist minister from Pittsburg, Texas, who allegedly flew his “Ezekiel Airship” in late 1902. Pearse is arguably the most compelling of the three, primarily because of the parallels that can be drawn to the Wrights. Like Wilbur and Orville, Pearse lacked formal technical training, studied prior aviation experiments by reading books and magazines, built his own motorized craft despite limited resources, conducted experiments in a remote locale, and even had considerable experience working on bicycles. In his native New Zealand, Pearse is widely recognized as having achieved first flight on his farm in Waitohi on March 31, 1903. In fact, New Zealanders commemorated the 100th anniversary of the date with an air show and celebration in nearby Timaru on March 29-31 of this year. Today, a replica of one of his flyers is on display at the Museum of Transport and Technology (MOTAT) in Auckland. However, none of the potential claimants have photographic evidence or written documentation that proves with any degree of certainty that controlled flight was achieved. For example, it's more than likely that Pearse managed to get off the ground at some point in time, but the date of his first “flight” and whether he met the definitions of sustained flight are both in doubt. In letters published in subsequent decades, even Pearse himself is unsure of the timeline and relative success of his experiments. Meanwhile, the Wrights managed to preserve the correspondence and calculations leading to the development of their flyer, photograph the moment it first lifted off, and leave behind extensive documentation explaining why it flew. Yet, in their letters the Wright Brothers consistently acknowledge their sources of inspiration and their careful study of the aviation pioneers that preceded them. In “The Papers of Wilbur and Orville Wright” (1953), editor Marvin W. McFarland notes that the Wright Brothers bent over backwards to give credit where credit was due. By the time he died of a heart attack on January 30, 1948, Orville had received hundreds of letters from fellow inventors who wanted him to acknowledge them as inventor of the airplane. Despite the fact that many of these so-called inventors were clearly frauds, Orville was generally patient in answering their letters and sometimes even spent considerable time researching their work and claims. On occasion, Orville must have found these inquiries exasperating, as evidenced by his response, dated November 8, 1929, to a letter from the unknown W.A. Crawford-Frost: “I beg to acknowledge receipt of your surprising letter of November 5th in which you ask me to recognize you as the inventor of the aeroplane. Never before having heard of you or of your inventions I can hardly do this,” he wrote. While Wilbur died before the propeller gave way to the jet engine, Orville lived to see the rapid evolution of the technology they created. “He had no idea from the humble first flight of 12 seconds what aviation would become in his lifetime,” relates Collins, and believes the Wright Brothers couldn’t even imagine the state of aviation in 2003. “They never conceived the airplane flying with an accuracy at night or realized an airplane might fly great distances over water,” elaborates Collins. "He [Orville] related the invention of the airplane to the discovery of fire. Fire has its destructive ends, but also has its good ends,” says Collins, who reports that since September 11, 2001 the Wright Brothers National Memorial has received countless letters from school children apologizing to the Wright Brothers and saying how sorry they are about the terrorist attacks. 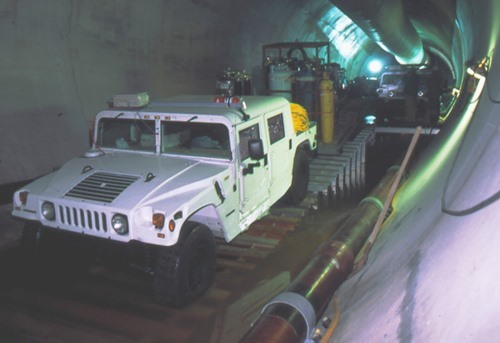 Trapped Under the Sea—The inside story of Boston’s Deer Island Outfall Tunnel tragedy. 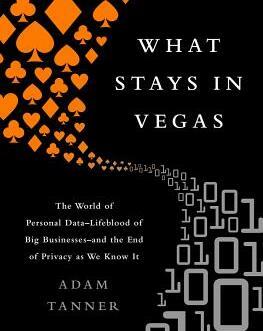 What Stays in Vegas—Personal data and the end of privacy as we know it. Sway It Ain’t So—London bridge is falling down?